The distance between Melbourne and Canberra spans around 663 km and the journey by road takes about 7 hours to cover. But this time doesn’t account for stops along the way and the travel time can be much longer than that, especially if you have a lot of items and belongings to move over this distance and take a number of breaks along the way. But what happens when you have only a few things to move? Is hiring professional removalists for the job a practical and financially feasible option? This is where our excellent backloading Melbourne to Canberra services come into the picture. Many clients now prefer the backloading option and find it extremely cost-effective and convenient. 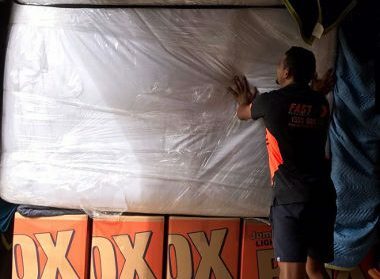 Moving home can be quite a tedious and time-consuming effort when there are a number of items to move and hiring the services of a professional interstate removals provider like Fast Removalists is the best thing to do. A standard removal involves hiring a team that consists of an interstate removalist and furniture removalist and booking a full truck that can accommodate all your belongings. This is the ideal service for a long distance move and when you need to move a larger number of things; but it can prove to be a very expensive option when you want to move only a few things as you will only end up paying for truck space that you won’t be using. This is why opting for our backloading solutions becomes the perfect alternative to a removal that involves full-scale services. 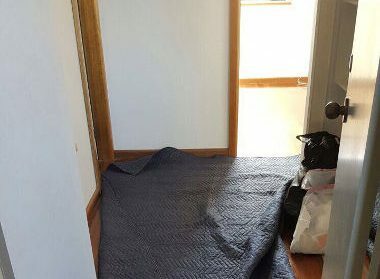 If you want to move just one or a few items from Melbourne to Canberra, simply book only the truck floor space you need for those items and pay only for that much. 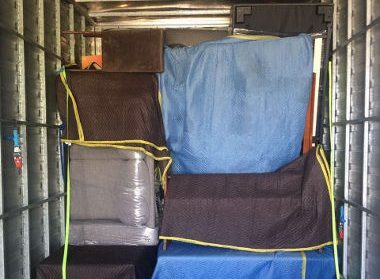 The affordability factor of backloading removals Melbourne to Canberra – While handling a full removal, the cargo will be transported from point A in Canberra to point B in Melbourne. Once all the cargo is unloaded at the destination, the vehicle still needs to travel back to Canberra. We take this opportunity to offer customers a very convenient and affordable removal service. If you have very few items to move between these two cities, call us for more information on our backloading solutions. You can book only as much of the truck space you need for the few things you want to transport. Since you share the cost of the full truck with other clients that want to transport their belongings along that same route, it reduces the cost of the transportation for each client. Hiring a backload removalist Melbourne to Canberra is an environment-friendly option- Since our empty trucks have to return to Canberra once they have completed their run to Melbourne, the return trip uses fuel. When a large number of people book individual transportation services for small removals that burden the environment. But when you use our backloading service and share the vehicle space, it cumulatively reduces the number of vehicles on the road. In turn, this reduces the number of emissions and pollution. This is how our backloading removalist’s services become the perfect option for small moves. Safe backload removalist Melbourne to Canberra – Our backloading services are as efficient and reliable as the standard removal services and an experienced removalist team makes sure that all your belongings are transported to the destination safely. Cheap backload removalist – We always look to provide our customers value for money with our interstate removals. Just as our regular services are extremely cost-effective, you will find that we also provide very cheap interstate removalists services. 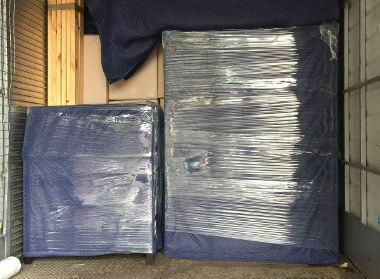 Backloading interstate removalists Melbourne to Canberra – As experienced interstate removalists, we know exactly how different items should be transported across state lines in a secure and safe manner. Our experts ensure that all the items are packed, hauled, loaded and secured properly; they will be transported safely to your destination. Our well-trained removalists make sure that the items belonging to different clients are segregated properly and you can rest assured that none of your things will become lost or misplaced. Our removal team also includes an expert furniture removalist who is in charge of packing and moving furniture pieces. 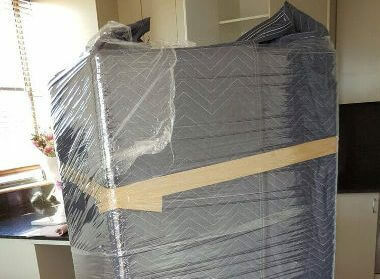 Our professional furniture removalist handles backload furniture removals – Moving furniture isn’t an easy task because these pieces could be bulky and heavy too; this makes it difficult to package and transport them and only specially trained and highly skilled professionals can handle this job expertly. Every furniture removalist on our team has the expertise to haul and load different types of furniture pieces in a safe manner. As a professional and skilled team, they use the best packing materials and techniques. 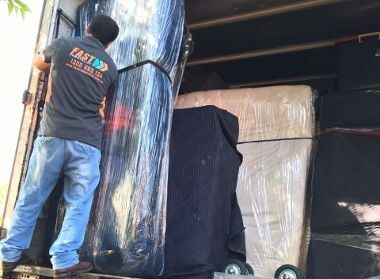 We are highly experienced and reputed backload removalists and have been operating in this industry for a very long time. Our furniture removalist works in tandem with the interstate removals team to make sure that all the furniture pieces are packed, hauled and transported safely to the destination. As a credible backloading moving company, we have all the necessary permits and licenses required for interstate removals. This means you have the assurance that all the work will be completed to industry standards. We are the removalists that always look to provide our customers value for money; it’s why we take the time to understand what your requirements are and provide upfront backloading quotes. You also have the option to use the interstate moving cost calculator on our site to get a rough estimate of how much you would have to pay for the removal. We have the necessary insurance for our interstate removalists Melbourne to Canberra services such as standard and backloading removals. In case of the rare chance that some item becomes damaged or gets lost, our removalists insurance covers all these costs. As you can see, we are the preferred backloading removalists for a number of reasons. We label all the items properly and follow a very methodical backloading Melbourne to Canberra process. If you are looking for backload movers that will provide high-quality moving services, Fast Removalists is the company to come to.